We have more than 8 years offering a service and quality product, fulfilling the expectations of our customers, added the firm commitment to contribute to the success of your event. Based on pisco sour or champagne toast. Cocktail bar with variety of drinks of your choice. Releases of brand and/or products. 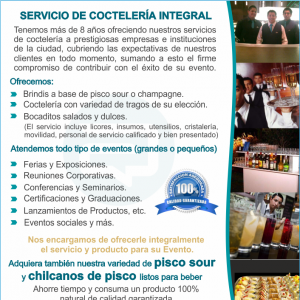 We will offer you comprehensive service and product for your event. 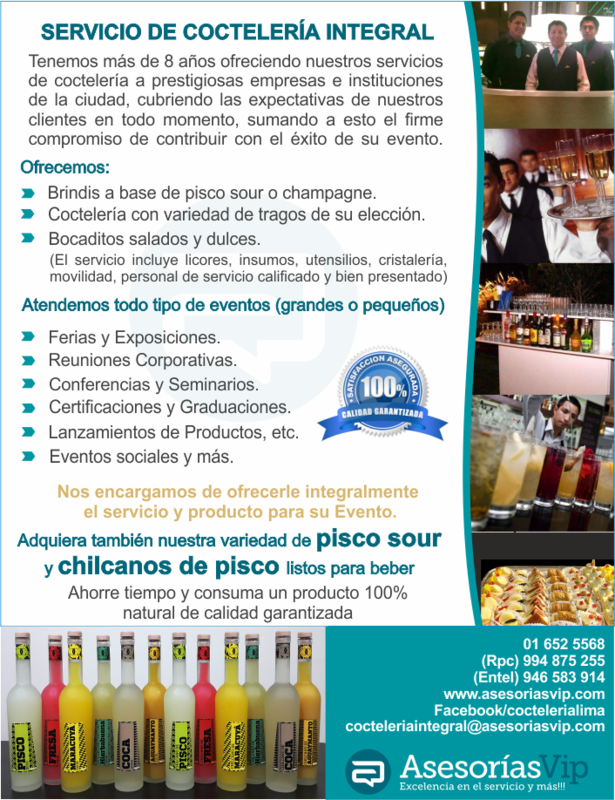 Additionally, we offer a variety of pisco sour and pisco chilcanos ready-to-drink, in our different formats of 500 ml, 2 lt and lt 4.